1. 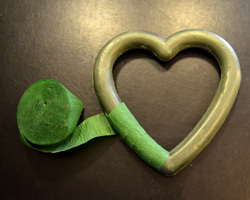 Begin this shamrock wreath with three foam hearts. The ones I bought were the 10 inch size and were already green, but they were a little scuffed up. 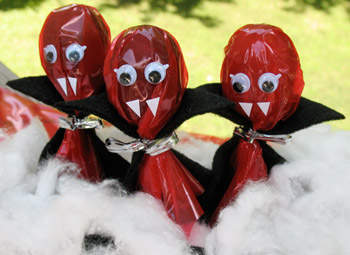 I chose to wrap mine with green crepe paper, but you could also spray paint them green if you like. 2. 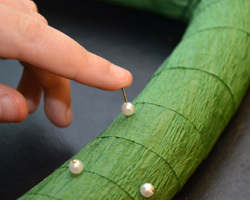 Using green crepe paper, secure one end of the paper to the wreath using glue. Add a line of white glue on the foam heart. Then, wrap the crepe paper around the hearts tightly, overlapping it about halfway over the first wrap. Around the corners you may find you have a bit of paper sticking up. This is easily fixed with a bit of white glue. 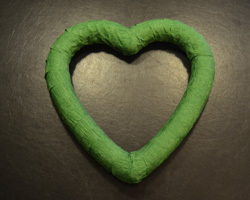 When you get the whole heart wrapped, secure the end of the crepe paper with some glue. Wrap all three hearts like this. 3. 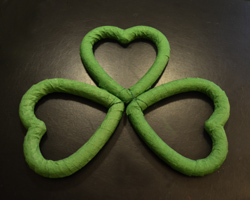 Place the three hearts together to form a shamrock shape. 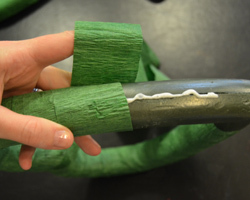 Using a hot glue gun, secure the pieces together. 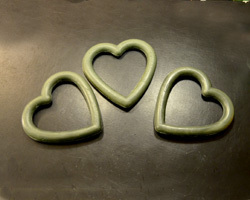 This will not be enough to hold the shapes together, so use some wire and wrap all three hearts together in the middle. You will be putting a bow over the middle so you don’t have to worry about the wire being seen. 4. 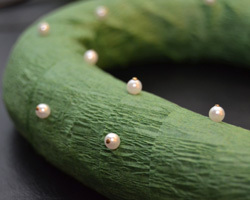 To add some decorations, I chose to decorate the wreath with pearl beads. You can use any type of bead you wish, or even try some sequins. 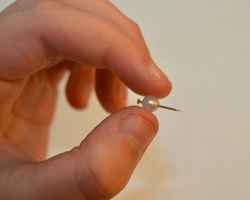 I threaded a pearl bead on short straight pins, then pushed each pin into the wreath, as shown. 5. 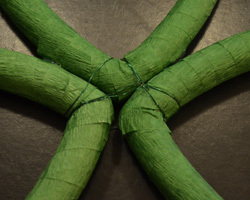 Create a bow using a length of St. Patrick’s Day ribbon. 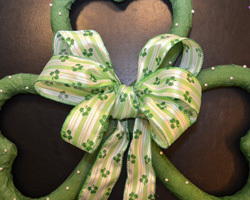 If you would like step by step directions on how to make a pretty bow, just see the my other project, St. Patrick’s Day wreath. After the bow is created, use a bit of wire to connect it the middle of the wreath. 6. 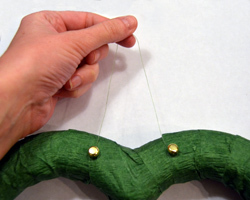 To create a hanger, push two large headed paper brads into the foam on the back of the wreath, about two inches apart. 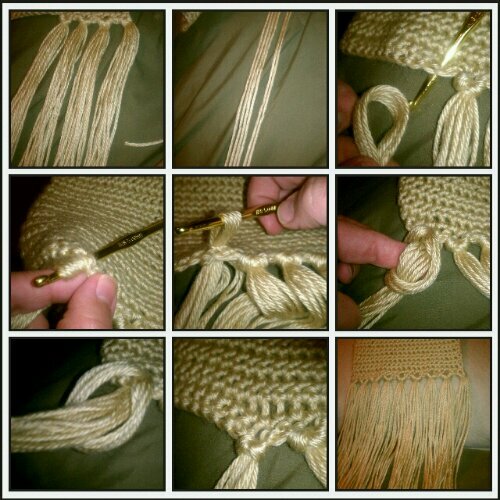 Then, tie a length of fishing line or cord around each brad to create a loop for hanging. 7. 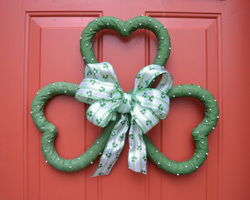 Have fun showing off your shamrock wreath this St. Patrick’s Day! 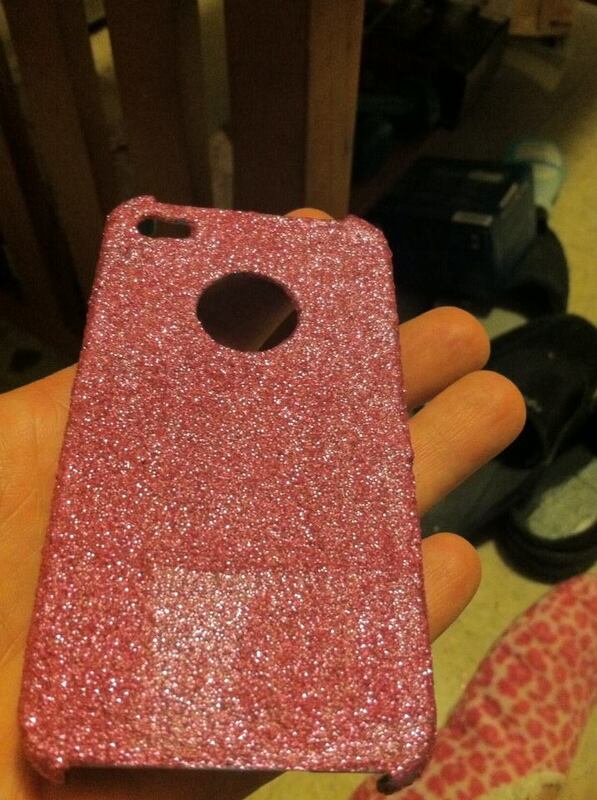 i made a glitter iphone case so easy and alot of fun. This is something to do on a snowy day or if u just want something to do with your kids. FYI u will get glitter EVERYWHERE lol but it’s so much fun. Glitter any kind is good and if u want to do more then one color u could. let it dry for a hour then paint it with mod podge it will look white but it drys clear..
paint, the hearts brown..glue the together as picture above, one heart upside down for the head and two upright for the antler’s . Glue on the eyes and nose. and make a bow out of your red ribbon and glue it on the head for a girl . Then with more red ribbon make a handle to hand the ordainment on your tree let dry and your done. 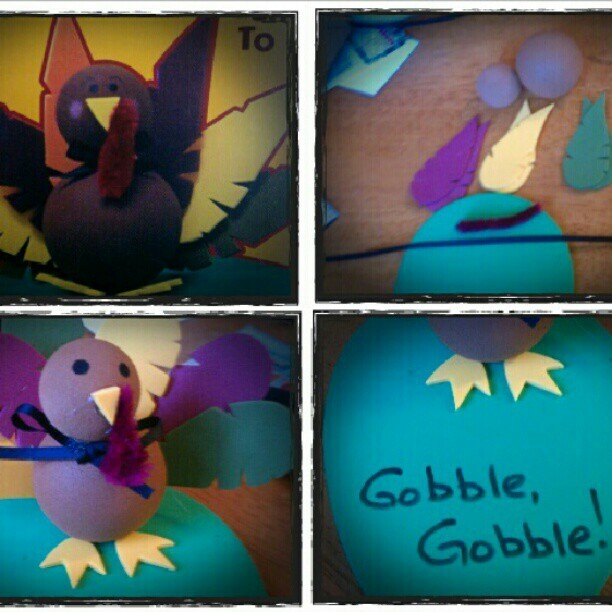 Hope you and your’e kids enjoy this little easy craft.